Shared Branching is a network of credit unions across the country that actually “share” their participating branches with each other. 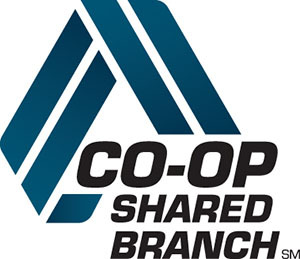 If you are a member of a participating credit union, you can use any other participating credit union’s branch, identified by the CO-OP Shared Branch logo. 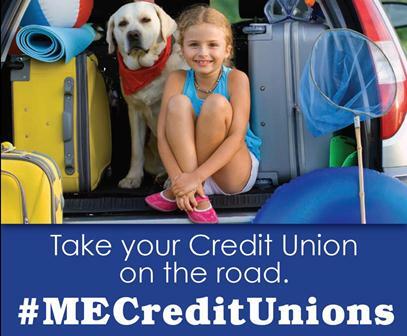 Use the link below to find the nearest participating credit unions. Gardiner Federal Credit Union along with a network of nearly 5,000 credit union locations nationwide, from Maine to Florida and across to California (including 120 international sites) offer members the convenience of Shared Branching. Gardiner FCU members may conduct business at any of the “shared” facilities as though they were at the Gardiner location. Fully-staffed branch offices will let members work with real people to conduct their financial business. 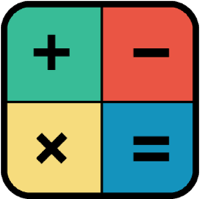 Transactions include: deposits, cash/check withdrawals, transfers, account inquiries, loan payments, money orders and traveler’s check purchases. Branches are identified by the common swirl logo. Members will need to provide their Credit Union name, account number and a government-issued photo identification. This is a great member-only benefit. New locations are being added regularly. Just another example of how Credit Unions really make a difference! 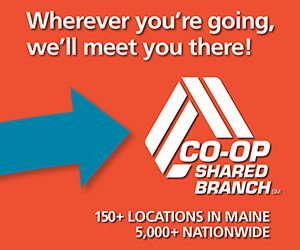 Members can visit http://mainecreditunions.org/find-a-shared-branch/ to receive more information and to find available locations! When the internet isn’t accessible, call (800) 919-2872. (Some restrictions may apply and availability of funds deposited will depend on your credit union policy. Some shared branch locations may charge a fee for certain services).